Rolling element bearings are commonly used in rotating engineering equipment. As a matter of fact, most machinery imperfections are related to bearing defects. This talk will address some key challenges and recent development in bearing health condition monitoring. The covered research aspects include signal processing for feature extraction, intelligent systems for pattern classification and automatic fault diagnostics, and machine learning for monitoring performance improvement. Some issues related to the development of a smart monitor for real-time condition monitoring in bearing systems will also be discussed. Dr. Wilson Wang received his BSc in Electromechanical Engineering (SIT in China), MSc in Mechanical Engineering (Northeastern University in China), MSc in Industrial Engineering (University of Toronto in Canada), and PhD in Mechatronics Engineering (University of Waterloo in Canada) in 2002. From 2002 to 2004, he was a Senior Scientist/Project Manager at Mechworks Systems Inc. He joined Lakehead University (Thunder Bay, Canada) in 2004, where he is currently a Professor in the Department of Mechanical Engineering. His research interests include signal processing, artificial intelligence, diagnostics, prognostics, mechatronics, and smart machines. Dr. Wang is a fellow of International Society of Engineering Asset Management, a senior member of IEEE, and the founder/director of LIMS (Lab for Intelligent Mechatronic Systems. He has supervised 65 highly qualified personnel (PDF, PhD and MSc students), and published more than 100 peer reviewed articles. He has also successfully developed a series of smart systems for online diagnostics and prognostics of rotary mechanical and electrical machines. Dr. Chao Wang, Associate Professor, School of Engineering and Digital Arts, University of Kent, U.K.
Photonic time stretch (PTS) technique maps the broadband spectrum of an ultrashort optical pulse into a time stretched waveform using chromatic dispersion. Owing to its capability of real-time pulse-by-pulse spectroscopic measurement and manipulation, PTS has become a promising technique for ultrafast signal generation and processing, and high-throughput real-time measurement in optical communications, optical sensing, spectroscopy and imaging, where the speed of traditional optical instruments falls short. In this tutorial, the principle and implementation methods of PTS are first introduced and the recent development in employing PTS technique for widespread ultrafast measurement applications are presented, with emphasis on real-time spectroscopy, arbitrary waveform generation, microwave spectrum sensing, ultrafast optical imaging and optical wireless communication. Emerging big data challenges, and possible solutions based on photonic signal processing and compression will be presented. Future research directions for PTS-based ultrafast applications will be discussed as well. Dr. Chao Wang received B.Eng. degree in Optoelectrics Engineering from Tianjin University, China, in 2002, M.Sc. degree in Optics from Nankai University, China, in 2005, and Ph.D. degree in Electrical and Computer Engineering from the University of Ottawa, Canada, in 2011. From 2011 to 2012, he was a NSERC Postdoctoral Fellow at the University of California, Los Angeles (UCLA), USA. In 2013, he became a Lecturer at the School of Engineering and Digital Arts, University of Kent, U.K., where he is currently a Senior Lecturer (Associate Professor). 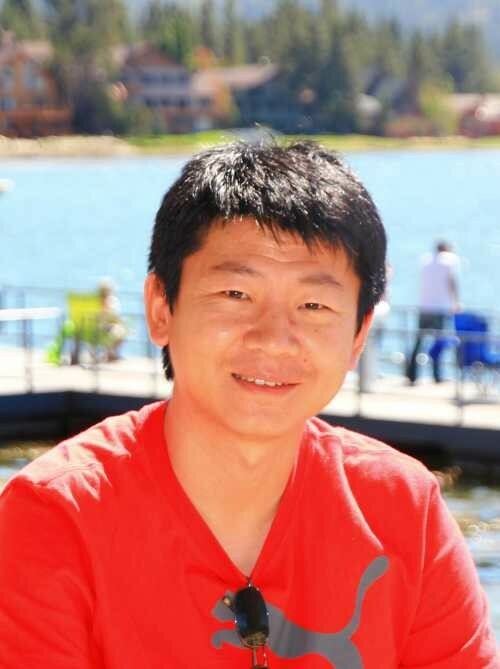 Dr Wang’s research interests lie in interdisciplinary areas that study the interaction between photonics and other state-of-the-art technologies in different fields, such as microwave photonics, biophotonics, ultrafast optical imaging, optical communications, and optical sensing. His research activities have been well funded by EU Marie-Curie Actions, the Royal Society of UK, University of Kent, and Natural Sciences and Engineering Research Council (NSERC) of Canada. He has authored over 100 peer-reviewed journal publications and conference papers, with an h-index of 23. He has given many invited or post-deadline talks in major photonics conferences including ECOC, MWP, FiO, and IPC. He was the recipient of SPIE Scholarship in Optical Science and Engineering (2008), Vanier Canada Graduate Scholarship (2009), Chinese Government Award for Outstanding Self-Financed Students Abroad (2009), IEEE Photonics Society Graduate Student Fellowship (2009), IEEE Microwave Theory and Techniques Society Graduate Fellowship (2010), NSERC Postdoctoral Fellowship (2011), and EU Marie Curie Career Integration Award (2014). He also received the Best Paper Awards from APMP 2009 and MWP 2010. He is serving as an active reviewer of more than 30 leading photonics journals of OSA, IEEE, Nature, IET, Elsevier and Wiley. He served as the Co-organizers and Co-Chair of symposiums in PIERS 2014 and CLEO-PR 2017, 2018. He also served as a TPC member for major international photonics conferences including Photonics Asia 2014-2016, PIERS 2014, ACP 2015, ICOCN 2015-2018, OECC 2015, Photonics West BiOS 2016-2018, OMTA 2016, APOS 2016, CLEO-PR/OECC/PGC 2017, OIT 2017 and MWP 2017, and as of the Guest Editor of Special Issue on Microwave Photonics in SPIE Optical Engineering (2014) and MDPI Photonics (2017). Computer vision is an emerging technique that is receiving significant attention from scientific and commercial sectors of industry. It has been applied in industry for various objectives, i.e., to assist quality and process control, for inspection and adaptive control of robots in manufacturing, surveillance, monitoring etc. This tutorial will discuss role of computer vision in automation for inventory control. The focus will be on industrial machine vision system. It is a system that automatically keeps the track of objects present in the inventory and maintains the database for the same. It includes automatic identification and localization of objects through matching of extracted features in the image of stock items with predefined templates to find instances of it. The potential benefits of automating inventory process include effective maintenance of inventory, minimization of production cost, and meeting customer requirement in a timely manner. This tutorial starts with introduction to conventional industrial process and its challenges, followed by the detailed description of vision-based inventory system. This framework embeds object identification algorithms in a single real time application. In contrast with other classical computer vision approaches, the developed framework is robust with scaling, illumination, camera viewpoint, rotation and partial occlusion. The goal of this tutorial is to present the audience with a unifying perspective of computer vision-based automation. The tutorial will be complemented with results of real time desktop application. Dr. Nishchal K Verma is an Associate Professor in the Dept. of Electrical Engineering, Indian Institute of Technology Kanpur, India. He did his PhD in Electrical Engineering from Indian Institute of Technology Delhi, India. He worked as Post-Doctoral Research Fellow in Center for Integrative and Translational Genomics, University of Tennessee, Memphis, USA and Post-Doctoral Research Associate in Department of Computer Science, Louisiana Tech University, USA. He was awarded Devendra Shukla Young Faculty Research Fellowship by Indian Institute of Technology Kanpur, India for year 2013-16. He was awarded Achiever award by Institution of Engineers at Jodhpur, India on Engineers day (Sept. 15th, 2017). Recently he received SFTIG Award of CAD$6000 for Shastri Faculty Training and Internationalization Program. 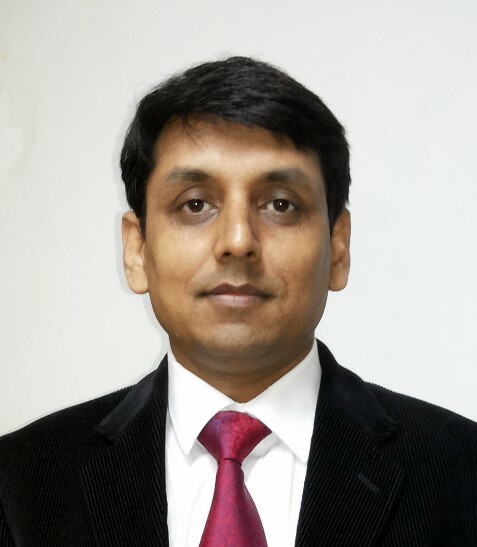 His research interests include intelligent fault diagnosis systems, prognosis and health management, big data analysis, deep learning of neural and fuzzy networks, machine learning algorithms, data analytics, data mining, computational intelligence, computer vision and image processing, brain computer/machine interface, intelligent informatics, intelligent agents and their applications, fuzzy logic and controllers, soft-computing in modelling and control, smart grid, internet of things/ cyber physical systems, unmanned guided vehicles, bioinformatics, cognitive science. He authored more than 200 research papers. He has successfully completed various projects sponsored by DRDO, Ministry of Defense, CSIR, DST, Govt. of India including the consultancy project from The BOEING Company, USA. Dr. Verma is an IETE Fellow. He is currently serving as an Editor of the IETE Technical Review Journal, an Associate Editor of the IEEE Computational Intelligence Magazine, an Associate Editor of the Transactions of the Institute of Measurement and Control, U.K., Guest Editor of special issue on “Computational Intelligence” of International Journal of Swarm Intelligence, Guest Editor of special issue on “Computational Intelligence: Theories, Applications and Future Directions” of International Journal of Artificial Intelligence and Soft Computing, Guest Editor of IEEE Access special section on “Advances in Prognostics and System Health Management” and an Editorial Board Member for several journals and conferences.